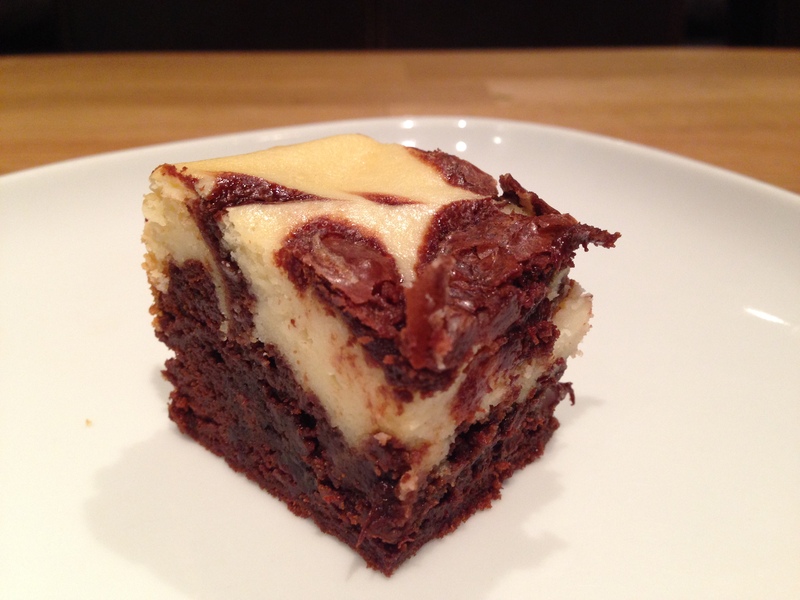 Feast your eyes on these chocolate cheesecake brownies. They’re really rich and chocolately, but not overly sweet. The recipe takes a little bit more time as you have to make two batters, but the outcome is worth it. Makes about 2 dozen 2″ square brownies. Preheat the oven to 350°F. Lightly grease a 9″ x 13″ pan. To make the brownie batter: In a large saucepan, melt the butter, then stir in the sugar, cooking until the mixture is smooth and shiny. Remove from the heat and stir in the cocoa, salt, baking powder, espresso powder, and vanilla. Whisk in the eggs, then the flour, stirring until smooth. To make the cream cheese batter: Beat the cream cheese until no lumps remain. Mix in the sugar and flour, then the vanilla, cream, and eggs. Fold the chocolate chips into the brownie batter. Spoon half the brownie batter into the prepared pan, then top with the cream cheese batter. Dollop the remaining brownie batter onto the cream cheese, swirling the two together. 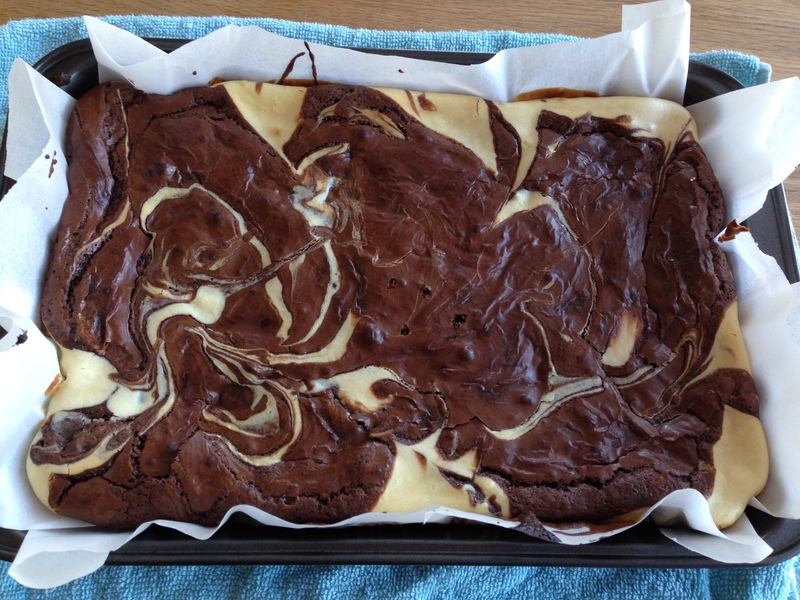 Bake the brownies for 35 to 45 minutes, until a tester inserted into the center comes out clean, and the edges are set. Remove them from the oven, and loosen the edges with a table knife. Cool completely before cutting.